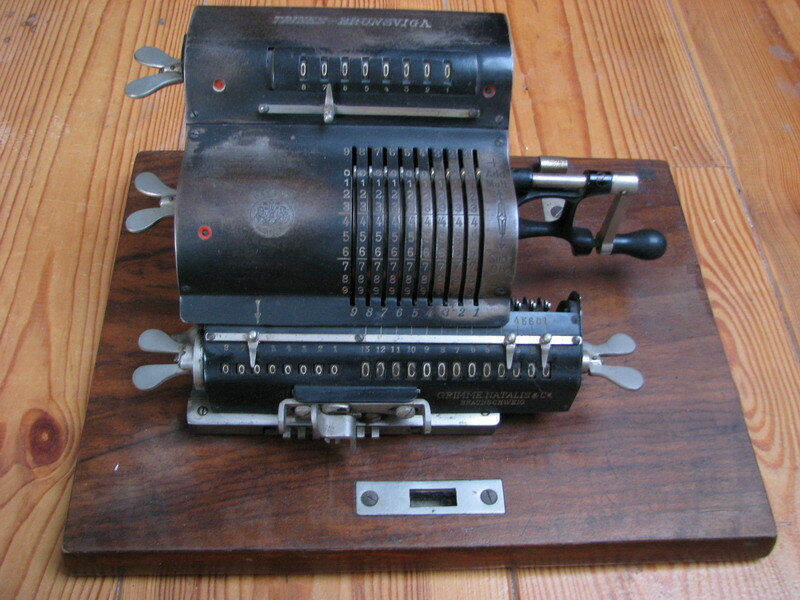 A cute little Brunsviga, symbolizing like no other the final development of calculator production in Braunschweig before the interchangeable parts "NOVA" machines in 1927. 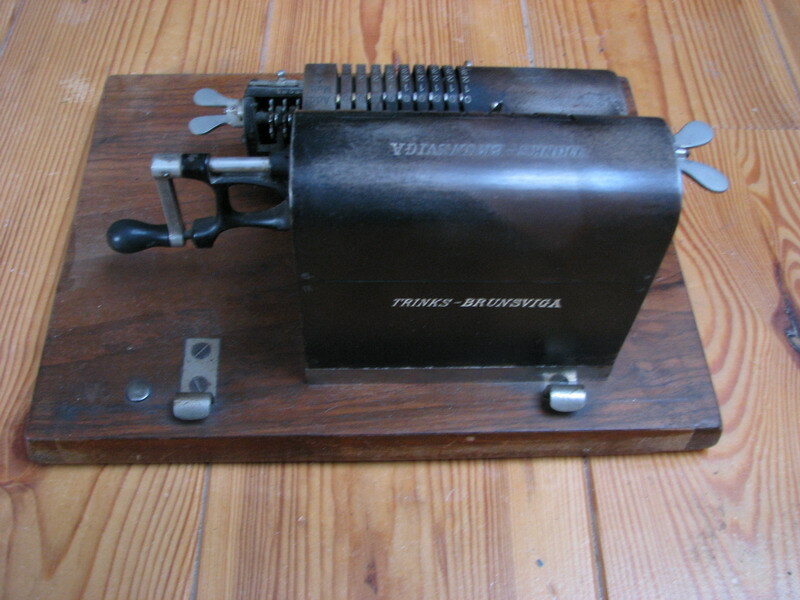 The organisation of the registers already carries a hint of what is to come, and it has such advanced features as a moving shroud over the top revolution register, which changes place depending on the intitial direction of revolution of the machine, so crank turns are counted positively in red for subtraction, and in white for addition, with full tens' carry thorugh the entire register. 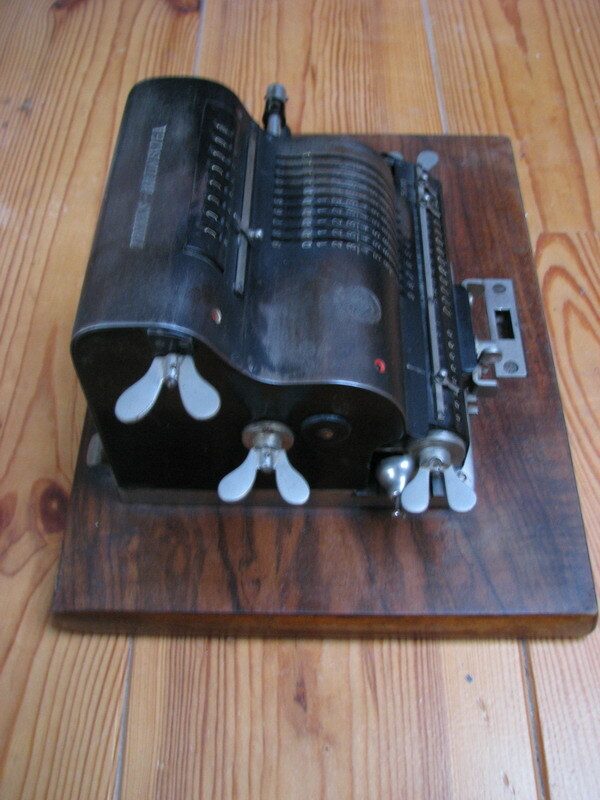 To make sure the average user was not too confused, they kept the revolution register in the carriage as well, which counts in the normal way without tens' carry. Interchangeability of parts with regular M machines might have something to do with that as well. There are also +/- and clearing indicators provided. 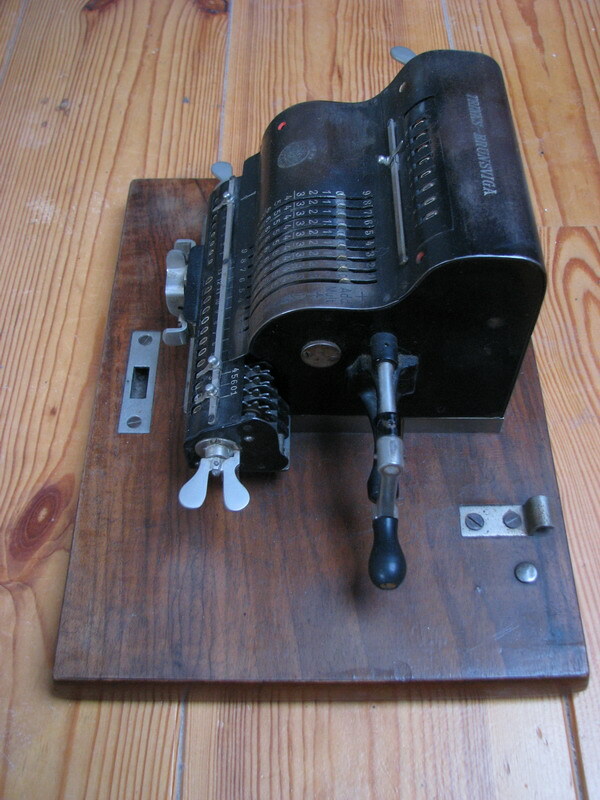 The machine proclaims it maker from all sides, and sadly came without cover. The bell is a provisional repair, because I did not have a suitable M2.5 fine thread screw to attach it.